We've been in Chicago a while now and I've only made a few posts, but it isn't because we aren't getting out and keeping busy! It's because we spend a lot of time just picking an area to walk to or eat in. We did a lot of the touristy stuff in the first couple weeks and are now just enjoying our surroundings. Here are some of the more "eventful" things we've found to do in the past few weeks. Blue Man Group: Despite seeing ads for years in multiple cities and hearing about performances from others, we'd never been! Didn't disappoint! Sold-out crowd on a weekday night. Half price tickets often available on hottix.org for anyone in the city who wants to go. 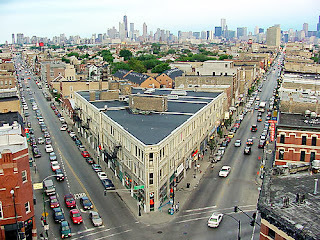 the downtown. Here is an interactive map of some of the more popular neighborhoods. Click "view all" under Chicago to get the drop-down menu that shows the border of each. Kingston Mines: Late-night, 7-day a week, blues music. When we first arrived it looked like no-one was there, then we looked in the next room! The large crowd runs back-and-forth between rooms as the bands take turns playing sets. Highlight of Kingston Mines is the food window. When I was here in 2009 they were able to accommodate cravings for both cheesecake and cheese-fries. MetroWalkz: After finding free Metrowalkz brochures at a nearby coffee shop, we took a few of the self-guided tours through downtown and Old Town. With so many buildings, art, and small areas tucked between, these maps help find points of interest that could easily be missed. We visited buildings like the Rookery (above), Thompson Center (above), and the Merchandise Mart. 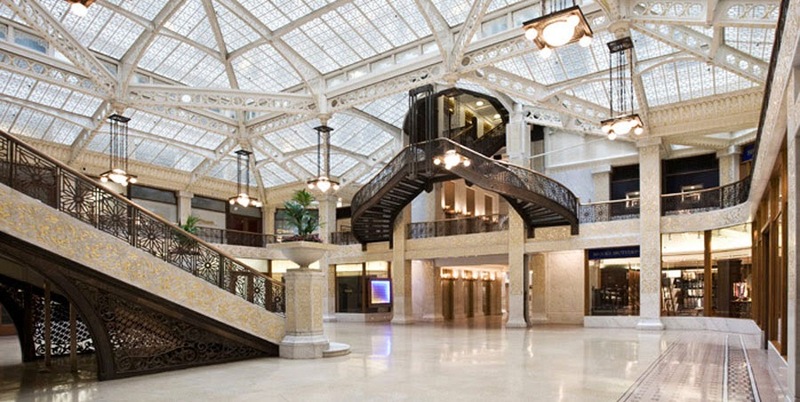 Milwaukee: Milwaukee is so close to Chicago it's practically a suburb. We took a day trip up for boat and beer tours. Great public market downtown. Very inexpensive compared to Chicago. 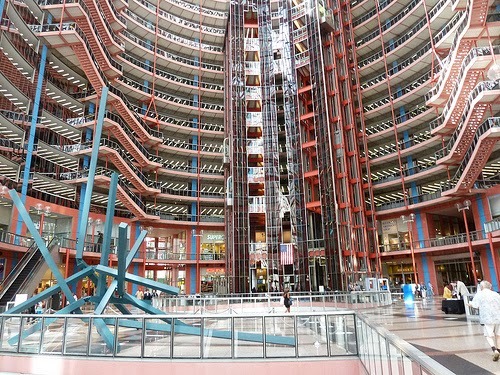 I've never been a fan of Miller, but since the other tours were over for the day, we went. Definitely worth going, if only for the free "samples" (full glasses) of beer at the end and free postcards (with postage and dropbox) so you can drunk post your friends. 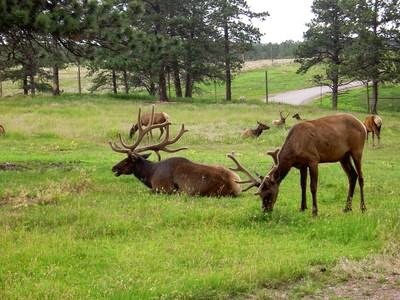 Ned Brown Forest Preserve: Despite its name, this park seems less of a preserve and more of a large community park with a big elk pen. A nice place to picnic, rent a canoe, and get away from the city. River North Argo Tea -- With 4-5 Starbucks within a few blocks and a free Starbucks dispensers in our building, we've started to get a little over-Starbucked. Argo to the rescue! 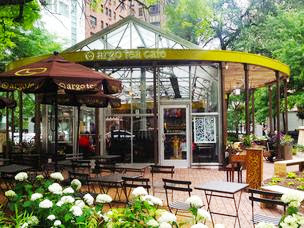 This great greenhouse park location a few blocks from us offers interesting tea/coffee blends like the Mate Late and the Teapaccino in a relaxed park setting. 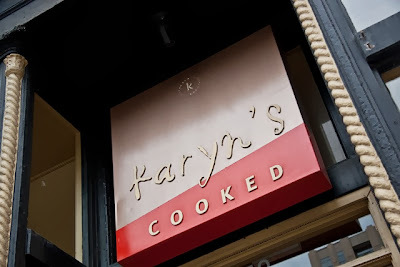 Karyn's Cooked: Also only a few blocks from our apartment is one of the best vegetarian restaurants in the city. Food is delicious. Even if their vegan salmon fillet didn't taste like salmon, I was excited to see fish on the menu and glad they had made the attempt. Buskers on Michigan: Now that fall is here, tourism is slowing down. That means less buskers and street-performers on Michigan Avenue, but it was fun while it lasted! 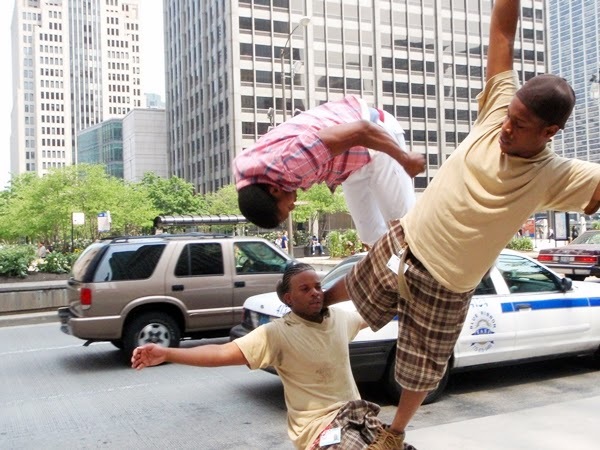 A walk down the magnificent mile took us past Gymnasts, golden cowboys, silver mimes, magicians, and music of all kinds. 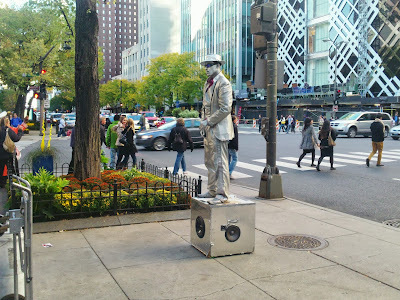 Chicago has a strict busking policy requiring expensive licenses and limiting performance areas, but it's still worth it for some people who know how to work a crowd. Supposedly, the average street-performer makes $75-$200 a day with top performers like the Kings of Michigan Avenue (above) making a lot more.